I was recently invited to check out a trunk show this Wednesday hosted by an organization called Legacies of War and textile artist Carol Cassidy, and you're invited, too! The show is from 12 p.m. to 8 p.m. on September 25, with a reception and artist's talk at 6:00 p.m. Location: 2019 Q Street NW, Washington, DC. Legacies of War is the only US based organization dedicated to raising awareness about the history of the Vietnam War-era bombing of Laos and advocating for the clearance of the hundreds of tons of our deadly unexploded ordnance (UXO) that litters Laos. 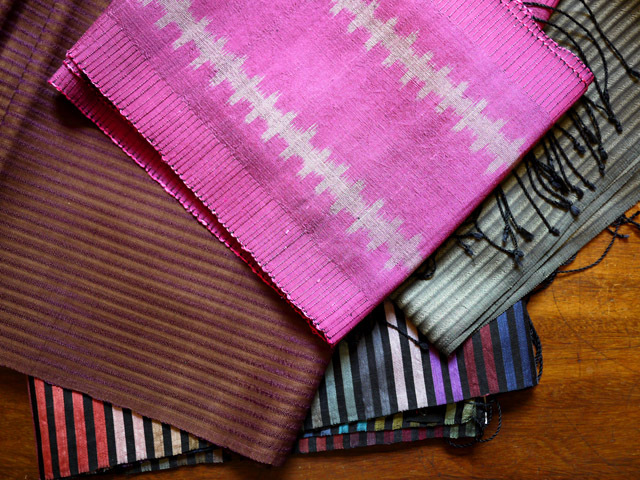 At the trunk show, you'll be able to purchase one of-a-kind pieces by Lao artisans working under fair trade conditions and designed by renowned textile artist Carol Cassidy, who will be there to discuss her wares. Since the 1990s, Carol Cassidy and Lao Textiles have helped to reestablish the livelihood of many rural women ravaged by the Vietnam war and the leftover unexploded bombs. If you can't join us for the trunk show tomorrow, you can still see a large body of Carol's work at the Textile Museum through October 13 as part of an exhibit called Out of Southeast Asia: Art That Sustains. The best part: Carol Cassidy is donating 40% of the trunk show proceeds to Legacies of War. 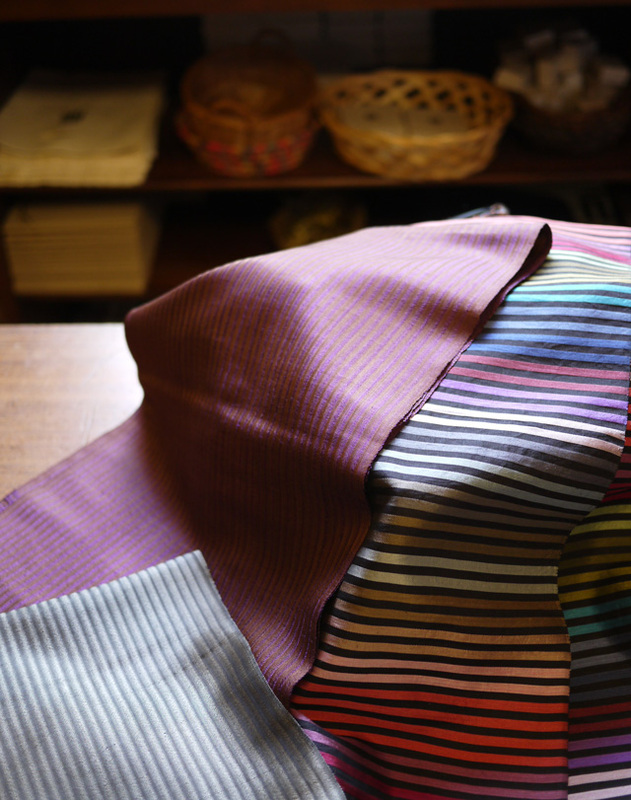 Scarves by Carol Cassidy, photographed in the Textile Museum gift shop.